The black-naped Oriole is found in many parts of Asia. Since I’ve not been to Asia, I snapped a couple of pictures of this yellow and black beauty in the aviary at the San Diego Zoo. 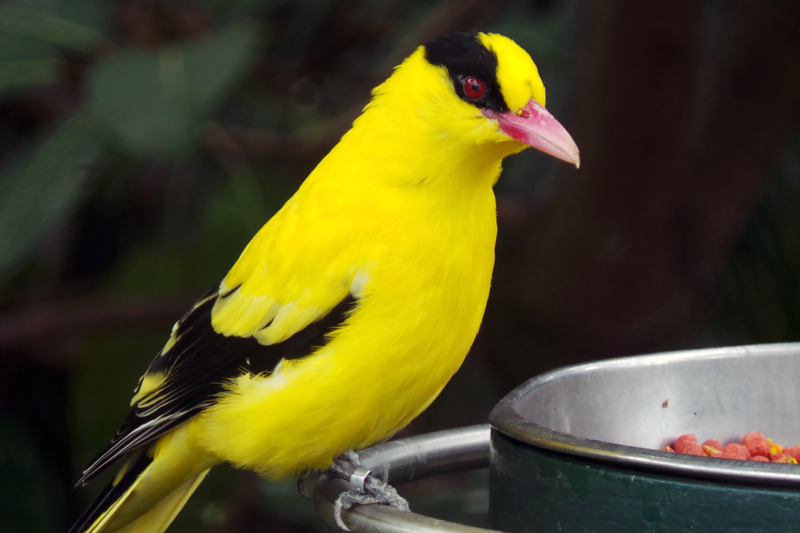 The zoo houses two aviaries: the Scripps Aviary and the Owens Aviary, both filled with many exotic species from around the globe, such as the black-naped oriole. If you get a chance to visit the zoo, you can pair it with a wander through Balboa Park and rack up a dozen or so North American Species like the Hooded Oriole and the California Towhee. Close-up of the Black-naped Oriole.